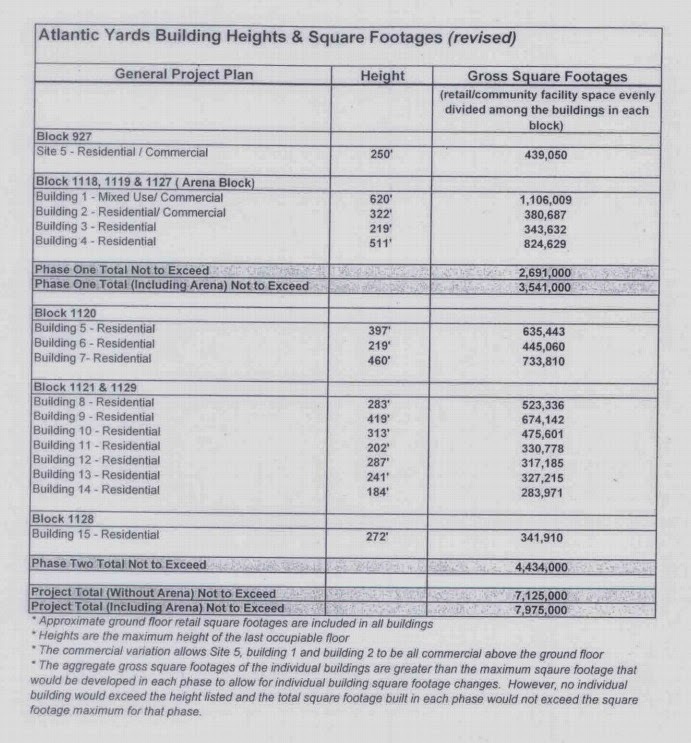 This is the first of several articles based on discussion at the 1/22/19 Atlantic Yards/Pacific Park Quality of Life meeting. Attendees got no insight on two key questions--how the 2025 deadline for the full 2,250 affordable housing units (1,468 more) will be met, or the project's overall schedule, given that the buildout likely will last until 2035--but did learn about two upcoming construction starts. The long-awaited middle school, dubbed by advocates M.S. 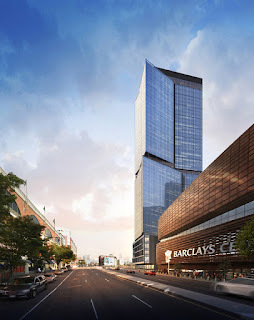 One Brooklyn (with an arts/culture/STEM focus) and part of the B15 tower just east of the arena block between Dean and Pacific Street, will start construction soon, likely at the end of February or the beginning of March. Schools officials have offered a different schedule. About a year ago, the School Construction Authority's (SCA) February 2018 Capital Plan (p. C8) pointed to July 2019 construction start and June 2021 project completion. The school will be known as I.S. 653 and have the address 491 Dean Street. However, the SCA's November 2018 Capital Plan (p. C8) pointed to a June 2020 construction start--presumably after preliminary work at the site--and August 2022 project completion, in time for the 2022-23 school year. At $126.5 million, the cost would be significantly higher than that of other 640-seat schools being built at the same time. The building will be designed by Marvel Architects, which produced a design unveiled in late 2015 for a 272 foot tower that would have had all market-rate rentals. At that point, the school at the base was to have 616 seats. The June 2014 Final Supplemental Environmental Impact Statement, Mitigation chapter, had said the "final school program and capacity" would be developed later, but "it is anticipated that this school would provide approximately 757 seats for elementary and/or intermediate students." This tower will have at least 25% affordable (subsidized, income-linked) units, though the level of affordability is unclear. Project developer Greenland Forest City Partners, dominated by Greenland USA, has sold a development lease to The Brodsky Organization, which will build the tower and the school's core and shell. 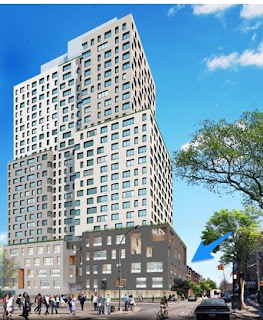 Greenland USA project manager Scott Solish, asked about the 2022 opening said that the leasing of apartments would probably be on a rolling basis--typically, lower floors are finished first--while the city opens schools only in September. He said two-way vehicular traffic would remain on Sixth Avenue between the arena block and the B15 site; the Sixty Avenue sidewalk would close, but there would be pedestrian pathways. "There's deep excavation on the site for the school’s large event spaces, below grade, gym and gymnatorium," Solish said, so the MPT (maintenance and protection of traffic) would remain in place until the building gets about 75 feet above grade. After that, "the MPT would stay the same, but you’d see some different equipment." As to the giant B4 tower at the northeast corner of the arena block, dubbed 18 Sixth Avenue, "we're expecting that excavation and foundation work will likely start around April," Solish said. "That's the monster at the corner of Sixth and Atlantic?" one resident asked. "I prefer not to call it a monster," responded Solish, "but yes." He didn't offer a timetable for the buildout, but the developer previously stated 36 months, which suggests completion in the spring of 2022. The building will be 511 feet and contain between 800 and 820 rental apartments (the DOB filing said 810), with the affordability percentage yet undetermined, but at least 25%. At a previous meeting, asked the Floor Area Ratio (FAR) on the building--a measure of bulk as a multiple of a fully covered lot--Solish ducked the question, saying that the state mandated a maximum 824,000 square feet. I calculated an FAR of 24.4, which is a very large figure, nearly 2.5 times the average FAR (10.3, not including the streetbeds) of the western end of the project's site.